Beyond Vision: Iranian Jews and Muslims living in LA team up to support music school geared towards the vision impaired. Nearly seven years ago Devin Maghen, an Iranian Jewish teenager in Los Angeles nearly lost his life in a car accident that left him with severe head injuries and in a coma for three months. His doctors at the time had given the 16-year-old a one to two percent chance of survival, nothing short of a miracle. Yet a miracle and a second chance at life is exactly what Maghen got when he awoke from the coma and slowly began an intensive rehabilitation regiment that lasted a year. “While I was in recovery and getting rehab, I received music therapy and I truly believe it really helped, said Magen, who is now 23 and pursuing a degree in music at college. Despite his near full recovery after many years, the accident has still left Maghen with some vision impairment which worried his parents who had concerns about his future career prospects. Yet when his mother, Shala learned about the Los Angeles-based nonprofit “Beyond Vision Music Foundation”, she quickly realized her son’s potential for a career in teaching or performing music. “The foundation and their work with Devin has truly transformed his life and given him a clear career path for a bright future,” said Shala Maghen. Beyond Vision is the brainchild of Saeed Deihimi, 58, a classically trained pianist and music teacher who started the organization in 2014 to help those like himself with vision impairment earn a living by teaching music. He was diagnosed at a young age with having retinitis pigmentosa (RP), a hereditary degenerative disease of the optic nerves that has reduced his vision to the point that he can only see shadows of individuals and objects. 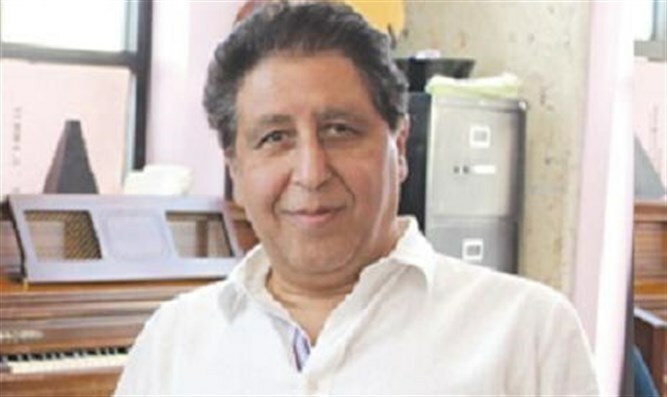 Nonetheless, he has been performing and teaching music in Iran and the United States for more than 40 years. “When I was very young, my mother took me to Austria for diagnosis of my RP and I was incredibly fortunate that the place she had taken me was also teaching children like myself music, and I took to it very quickly,” said Deihimi, who was born into a Muslim family but does not consider himself religious. In Iran, many of his piano students were Jewish. Two years after the 1979 revolution in Iran, which implemented radical Shiite Islamic laws restricting music and other individual freedoms, Deihimi left the country and settled in Los Angeles. He continued to teach music to new Iranian immigrants and their children at his home, and, in 1990, he formally opened his own school “World of Music and Dance” based in Tarzana, a suburb of Los Angeles. Deihimi said 90 percent of his students over the years have been Iranian Jews, many of them welcoming him into their homes for Shabbat dinners. “I can say that I truly feel like I’m a part of the Iranian-Jewish community because I grew up with them and taught them, taught their children and now I’m teaching their grandchildren music,” he said. “The Iranian Jewish community is one that is very charitable and believes in preserving our cultural and musical heritage”. Southern California is home to nearly half a million Iranian Americans. Roughly 40,000 to 45,000 of them are Jews living in Los Angeles county. Despite their different faiths — Judaism, Islam, Christianity, Baha’i and Zoroastrianism — Iranians in L.A. remain connected by language, culture, food and music. Likewise the mutual respect and tolerance the community maintained in Iran during the reign of the late Shah prior to the 1979 revolution still endures today among the majority of Iranians in L.A.
For nearly four decades, Iranian Jews living in Southern California have been among the primary patrons of Iranian arts and music, even encouraging their children to learn playing Iranian music with various instruments. Dehimi said his Foundation currently has seven teachers and serves 30 students who are either blind or have some form of vision impairment and range in age from six to 85. “After all of these years, I realized how lucky I was for being able to support myself through music, and I always wanted to give that same ability to those with vision impairment or blindness,” Deihimi said. “There are many schools in America that teach the blind to play music, but our foundation is the only one in the U.S. with the specific objective of teaching the blind or those with vision issues to become music teachers themselves, so they can teach others and earn a living on their own. The Iranian-Jewish community has responded with strong support for Beyond the Vision during the last five years and roughly 70 percent of the non-profit’s donors are local Iranian Jews. Robert Khorramian, an L.A.-based Iranian Jewish podiatrist who in the past has supported Beyond Vision’s fundraising event, said, “Mr. Deihimi is truly a remarkably loving and kind human being. He has transformed the lives of thousands of people with his music-- both those who have vision and those who do not”. Deihimi said it’s a gift to be able to share the beauty of music while helping others who share his disability. Karmel Melamed is an award-winning internationally published journalist based in Southern California.